CHICAGO (WLS) -- Students at 26 schools across Illinois learned about the democratic process and civic engagement by getting involved. Our American Voice works with students to identify an issue at their school or in their community, but they don't stop there. Students then find and implement a solution. 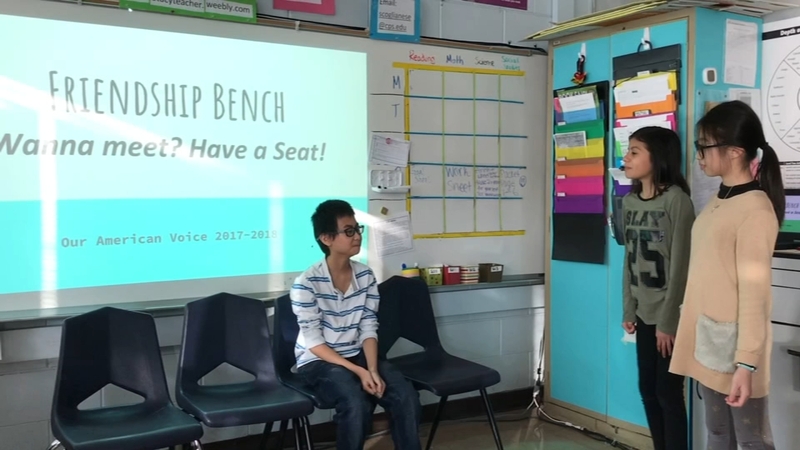 At Healy Elementary in Chicago, students said they hope a "friendship bench" will make everyone feel they can get involved in recess activities. Talking about Our American Voice, why a program like this is needed and its impact are Our American Voice project coordinatorJohn Fontanetta, teacher and Healy program advisor Stacy Coglianese and Eve Torres, a 5th Grader at Healy and Our American Voice member. Students at 26 schools across Illinois learned about the democratic process and civic engagement by getting involved.